Pierre Chouteau, Jr. was an American merchant and trader who grew up to run a powerful trading company that monopolized the trade along the upper Missouri River. 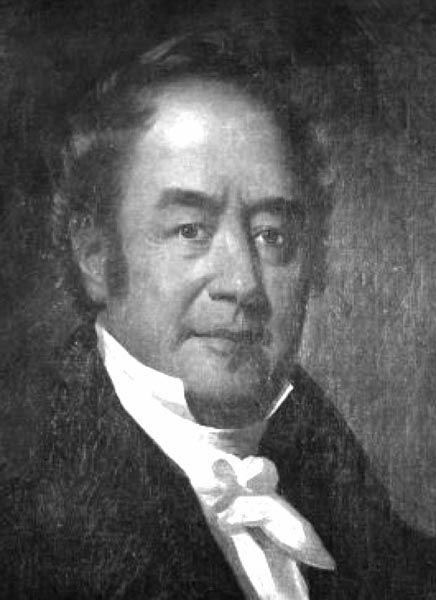 Pierre Chouteau, Jr. was born into the wealthy Chouteau fur-trading family of St. Louis, Missouri to Jean Pierre Chouteau and Pelagie Kiersereau on January 19, 1789. As a boy, he was familiarly called “Cadet”, a French Creole word that means second-born son. He received an elementary education in St. Louis but before he was 16 he was working as a clerk in his father’s store and trading with the Osage tribe. He was described as tall, erect, and having coal-black hair, penetrating black eyes, and a pleasant expression. In 1810, he left St. Louis to look after his family’s interests in lead mines in Dubuque, Iowa where he remained until the War of 1812 erupted. He then returned to St. Louis where he opened a store with his brother-in-law, Bartholomew Berthold, and became involved in the fur trade. On June 15, 1813, he married his first cousin, Emilie Gratiot, and the pair would eventually have five children. Berthold and Chouteau soon began outfitting traders, destined for points in the west. In 1815, they backed Pierre’s brother Auguste Chouteau, along with Jules DeMun and John Sarpy, on an expedition to the upper Arkansas River region. The men were arrested in 1817 by the Spanish, as they considered that area under their control. Auguste and the others were imprisoned in Santa Fe, New Mexico and their trade goods were confiscated. Though his brother was later released, the event temporarily disillusioned Pierre with the fur trade business. However, Berthold and Chouteau, sometimes called the French Company, continued on and in 1819, they backed a trading expedition by Manuel Lisa to the Upper Missouri River, but again suffered heavy losses. Though they had other successes, Berthold and Chouteau struggled in the increasingly competitive St. Louis fur market. They reorganized in 1822 and added another partner — Bernard Pratte, who was married to Pierre’s cousin. The company then became known as Berthold, Chouteau & Pratte. All three men then began to make several expeditions to the upper Mississippi and Missouri Rivers and built a number of trading posts on the Missouri River as far north as present-day South Dakota. In about 1827, Chouteau really began to prosper when he arranged to purchase furs and supply goods to the Rocky Mountain Fur Company. Pierre Chouteau, Jr. was a driven man, a ruthless competitor, and an innovator who was instrumental in introducing steamboat navigation on the Missouri River in 1832, which revolutionized the scale of the fur trade. 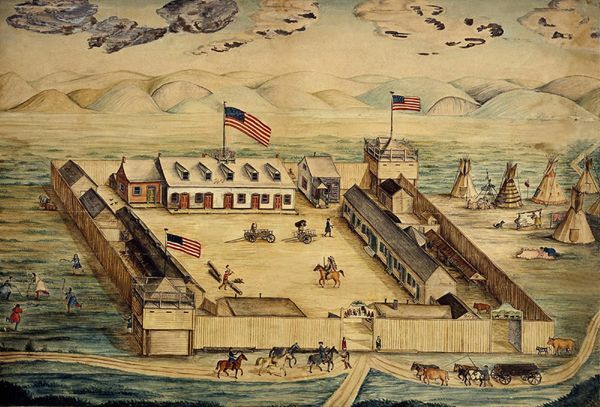 Fort Pierre, South Dakota was built by Pierre Chouteau, Jr. for the American Fur Company in 1832. As Chouteau and his partners prospered, they came into competition with various fur trading companies, especially the American Fur Company. However, Pierre Chouteau, along with Bartholomew Berthold, John P. Cabanne, and Bernard Pratte, gradually eased into a relationship with John Jacob Astor, who owned the American Fur Company. In 1827, Bernard Pratte & Company joined the American Fur Company’s Western Department as its St. Louis agent. Pierre was a passenger along with Artist George C. Catlin when the Yellow Stone completed the first successful steamboat voyage to the upper Missouri River country in 1832. 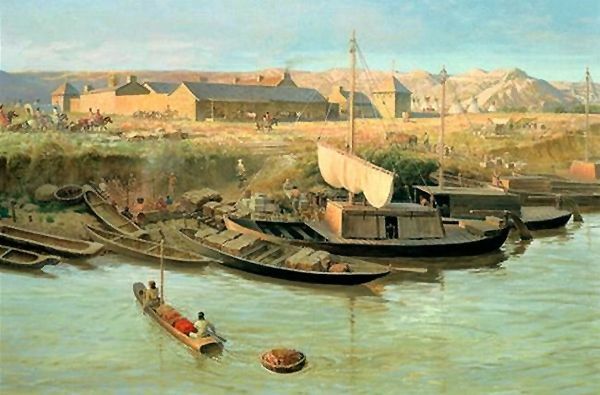 In 1834, when John Jacob Astor, the owner of the American Fur Company, retired, Bernard Pratte and Pierre Chouteau Jr., purchased the Missouri River interests of the American Fur Company’s Western Department, forming the Pratte, Chouteau, and Company. The northern portion of the American Fur Company’s interests were sold to Ramsay Crooks, who retained the “American Fur Company” name. 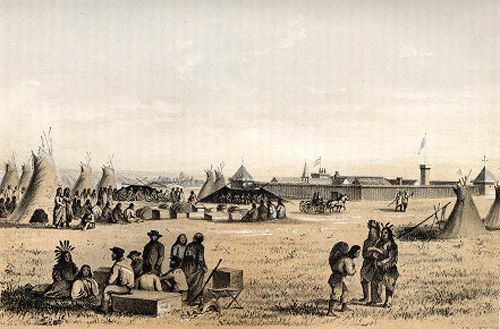 Pratte, Chouteau, and Company quickly became a dominant force in the fur trade on the Central and Northern Great Plains, with a network of trading posts stretching from Fort Union, North Dakota to Fort Laramie. Wyoming. In 1838, Bernard Pratte retired and Pierre Chouteau, Jr. gained control of the firm and reorganized it as the Pierre Chouteau, Jr. and Company, which would become the dominating trading company on the Missouri River. The near monopoly enjoyed by the company from the mid-1830s was gained primarily by the combined use of light-draft steamboats and an illegal distillery at Fort Union, North Dakota. The new company also soon discontinued the fur business and instead, focused on buffalo robes, moving hundreds of thousands of them through St. Louis to the main markets in the eastern United States over the next 25 years. In 1842, Ramsay Crooks sold his interest in the Red River and upper Mississippi watersheds to Pierre Chouteau, Jr., & Company and in 1845, the financial backers of the Union Fur Company sold their trading posts to their competitor, Pierre Chouteau, Jr.
Old Fort Benton, Montana by John Ford Clymer, 1967. In 1847 Pierre and his brother Auguste established Fort Benton, Montana as the last fur trading post on the Upper Missouri River. It was named for U.S. 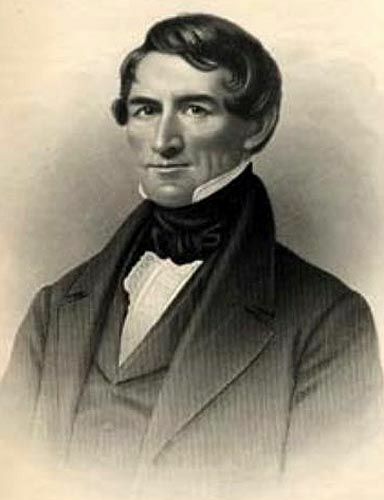 Senator Thomas Hart Benton, with whom the Chouteau family were friends and influential contributors. During these busy years, the Pierre Chouteau, Jr., & Company employed or partnered with a number of well-known frontiersmen including Alexander Culbertson, Andrew Dawson, Malcolm Clarke, Kenneth McKenzie, Alexander Harvey, and Louis Rivit. 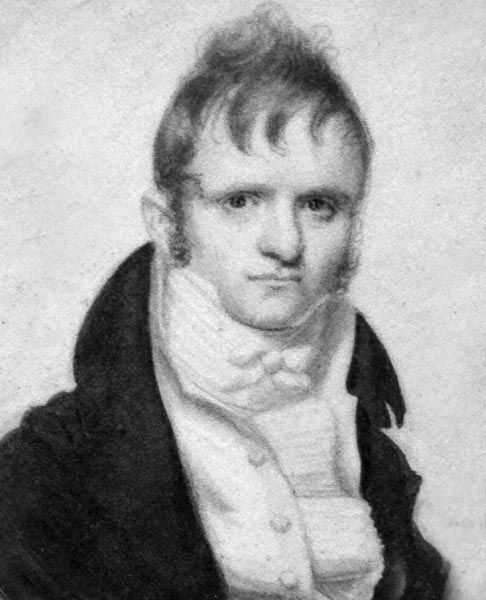 Pierre’s son Charles took charge of managing the St. Louis fur business from him in 1849 and Pierre focused on a number of other business interests. He engaged in banking, Iron Mountain deposits in St. Francois County, Missouri, and in 1850 he was a partner in the firm of Chouteau, Harrison & Valle that operated a rolling mill in North St. Louis. He was one of the original incorporators of the Ohio & Mississippi Railroad of Illinois and as his business interests grew, he was drawn to New York City, where for many years he was one of the country’s leading financiers. In the late 1850s Pierre’s health began to fail and in 1859 he lost his sight. That same year, the first successful attempt to extend steamboat traffic to the head of navigation of the Missouri River at Fort Benton, Montana was undertaken by Pierre Chouteau, Jr., & Company on the steamboat Chippewa. The voyage was sponsored by the federal government to carry the Indian annuity of goods to the upper Missouri agencies and was transporting a corps of engineers under command of Captain W.F. Raynolds. Prior to this voyage, Fort Union, North Dakota, situated at the mouth of the Yellowstone River, had long been the head of naviagation. Three years later his wife of 50 years, Emilie died on August 24, 1862. Two years later Pierre Chouteau Jr. died on September 6, 1865, in St. Louis, Missouri. They are buried in a mausoleum at the Calvary Cemetery in St. Louis. The Pierre Chouteau, Jr., & Company continued until 1864 and was sold in 1865. His children inherited an estate of several millions. Christensen, Lawrence O., Foley, William E., Kremer, Gary; Dictionary of Missouri Biography, University of Missouri Press, 1999. Oviatt, Alton B., Steamboat Traffic on the Upper Missouri River, 1859-1869, The Pacific Northwest Quarterly, 1949. Ravenswaay, Charles Van; St. Louis: An Informal History of the City and Its People, 1764-1865, University of Illinois Press, 1991. Robertson, Roland; Competitive Struggle: America’s Western Fur Trading Posts, 1764-1865, Caxton Press, 2014.